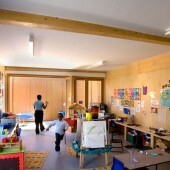 Following the publication of live projects designed and constructed by ASD students for local primary schools in North London in the Architect’s Journal Small Projects Award in 2006, ASD Projects were approached by Kingsmead Primary School in Hackney and invited to compete for the design of a new reception classroom, outdoor learning space and parents’ waiting area. 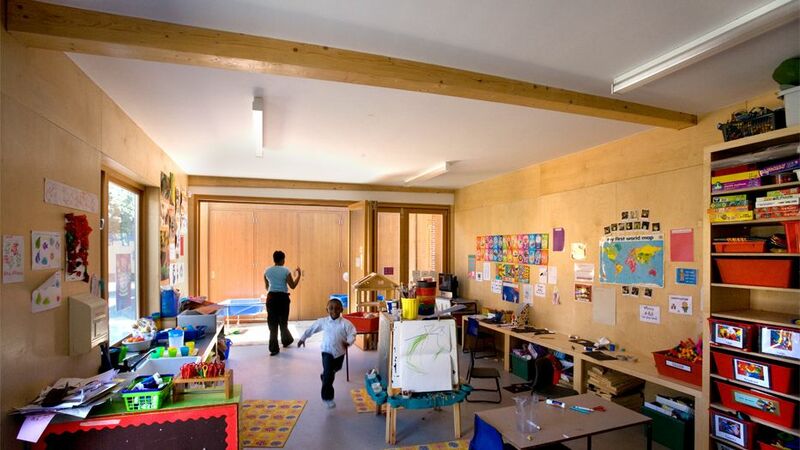 We were successful in securing the project and design work started in April 2006 and the new classroom was ready in time for the second intake of reception children in January 2007. Anna Page, an ASD graduate working on her year out in ASD Projects was responsible for the design under the supervision of Anne Markey, principal architect at ASD Projects. when funding had been obtained. 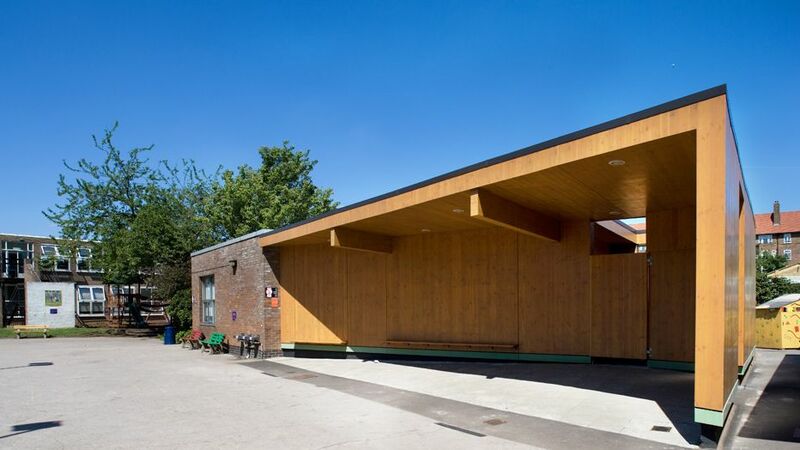 The design also incorporates an external learning area that is safe and secure for the very young age group that the classroom has been designed for. 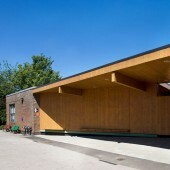 This external learning area and the adjoining garden embrace the principles of the “open air school”. CASS Projects is RIBA registered and academically located to procure ‘live projects’ that benefit from creative research. Potential beneficiaries commission CASS Projects, which then works between the clients, consultants, users and the design teams (teaching staff and students) to generate the best research framework, delivery mechanism and final outcome. Anna Page was the lead researcher for Kingsmead Primary School during her Year Out Project supported by Rashid Ali and supervised by Anne Markey. The aim of this project was to demonstrate how socially engaged projects can be realised through interactive participation and collaboration. The research supports the production of concrete physical and social outcomes that are both original and rigorous in their own terms.